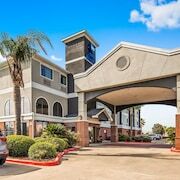 Located in West End, this hotel is 2.8 mi (4.5 km) from Galveston Island Convention Center and within 6 mi (10 km) of Texas A&M University - Galveston and Galveston Island Railroad Museum. Moody Gardens and Galveston Schlitterbahn Waterpark are also within 6 mi (10 km). 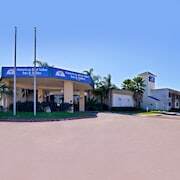 Situated near the beach, this hotel is steps from East End Historic District and Stewart Beach Park. Galveston Seawall and University of Texas Medical Branch are also within 1 mi (2 km). 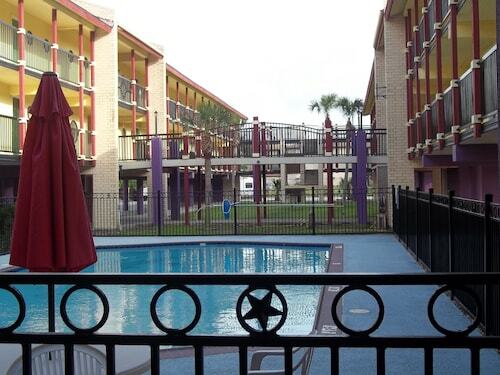 La Quinta Inn Galveston East Beach is on the waterfront near the city's bustling port. There's a beach across the street, and guests can take a refreshing 20-minute stroll down Seawall Boulevard to the amusements of Pleasure Pier. The Strand Historic District is a 5-minute drive from the hotel. 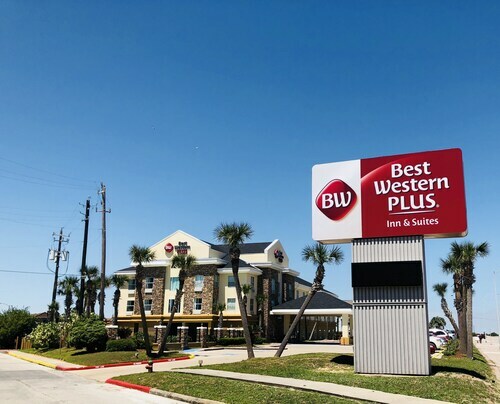 Located in West End, this hotel is 0.8 mi (1.3 km) from East End Historic District and within 3 mi (5 km) of Moody Gardens and Galveston Schlitterbahn Waterpark. 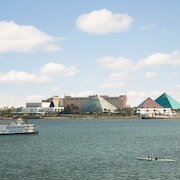 Galveston Island Convention Center is 2.5 mi (4 km) away. 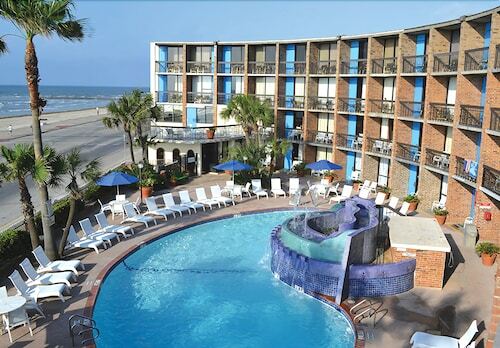 Nestled on the beach, this West End hotel is within 1 mi (2 km) of Magic Carpet Golf and Galveston Fishing Pier. Galveston Schlitterbahn Waterpark and Moody Gardens are also within 2 mi (3 km). 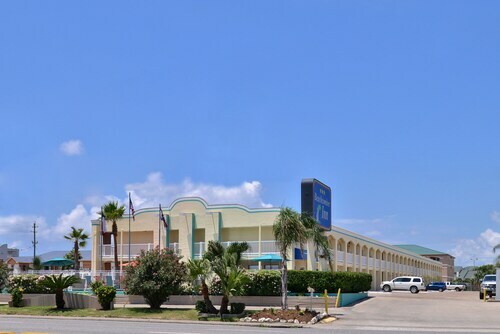 This Galveston hotel is located near the beach, 3 miles from the cruise terminal and 0.5 mile from the Galveston Island Convention Center. Looking to break out of your routine for some much needed rest and relaxation? Or maybe you’ve already decided it’s time for a trip and are trying to find affordable hotels in Galveston that won’t bust your travel budget? 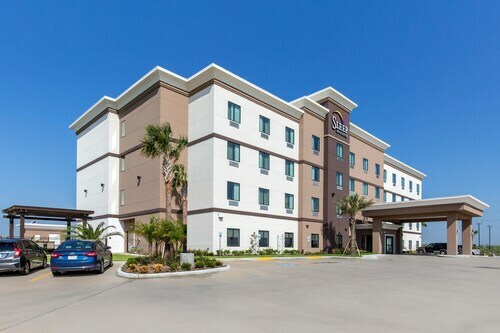 Galveston 2 star hotels will give you everything you need to enjoy the city like a local, saving a ton of money so you can hit all the hot spots in town. 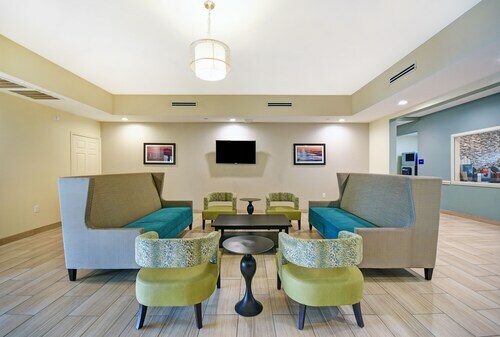 As you explore a new locale, or one you love to visit over and over, you can rest easy knowing you’re staying in a great hotel that lets you discover Galveston and welcomes you back to a clean, comfortable room at night. 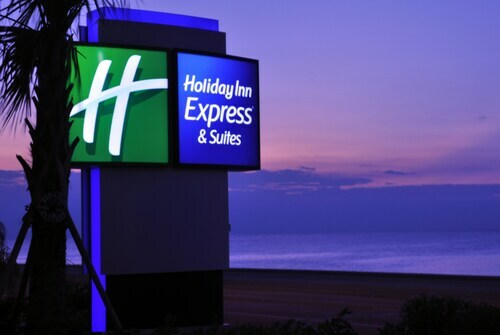 Browse Travelocity’s wide selection of 2 star hotels in Galveston and find one that’s perfectly priced and places you next to all the best activities and sights. The town is your oyster, and we can help you seek out its secrets while sticking to your budget.